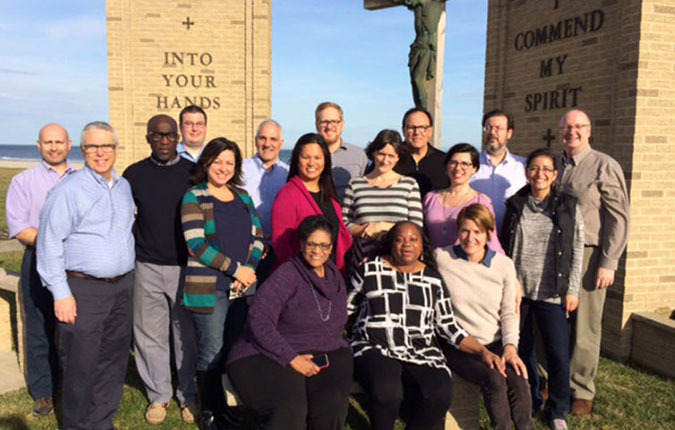 The recent Lasallian Higher Education Colloquy (LHEC) on Racial Justice, Diversity, Inclusion, and Mission Compatibility brought together members of the Lasallian Association of Colleges and Universities (LACU). A primary purpose of the gathering was to share expertise and insights, especially with regard to the classroom and the lives of our students, as well as to explore future ways we might enhance our support of one another and our efforts going forward. The 17 participants included representatives from Bethlehem University in Palestine; Christian Brothers University in Memphis, Tennessee; La Salle University in Philadelphia, Pennsylvania; Lewis University in Romeoville, Illinois; Manhattan College in Riverdale, New York; Saint Mary’s College of California in Moraga; and Saint Mary’s University of Minnesota in Winona.